I’m sure you all know the new food truck by our school. You’ve either ordered food from there, heard of it, or walked passed it. 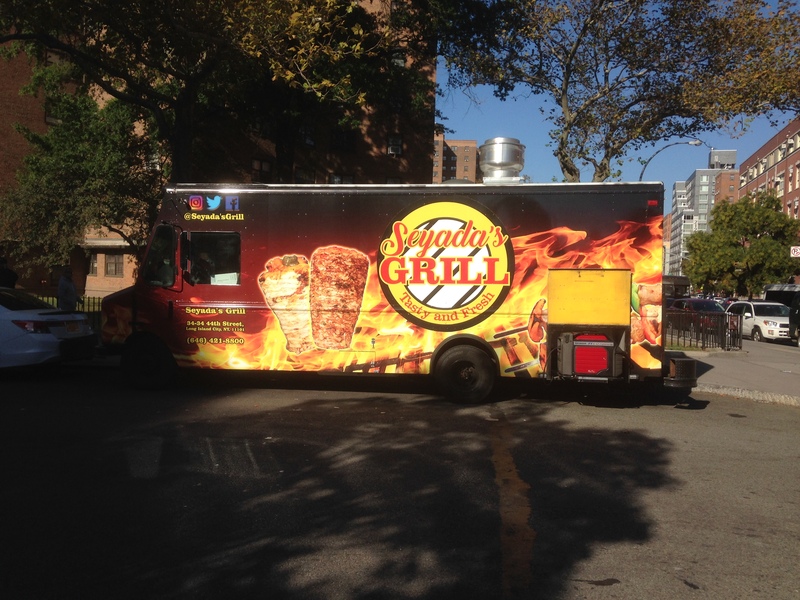 I’m also sure you have heard mixed reviews about this new halal food truck. I interviewed many people in the school and asked them five basic questions, have they been to the food truck, do they like their food, what was their favorite/worst dish from there, are the prices reasonable/the customer service and anything else they wanted to add. The number one thing that stood out for me was talking about the menu and the customer service. Many people disliked their American/Italian food- like chicken parmesan sandwich, and BLT. The chicken parmesan apparently has two pieces of chicken tenders between bread with yellow American cheese, half melted, laid on top. Doesn’t sound too pleasing. However, many people’s favorite meal was chicken over rice. To add, mostly all admitted to the food truck having reasonable prices. Although, not everyone had good service with the employees of the truck. Yvette Kim, a 10th grade student at Bard says that she had a horrible experience her first time going to the food truck. She said that the person working in the truck didn’t know his own menu and weren’t selling a lot of the items on the menu. Yvette found this so frustrating that she stormed out. Yvette isn’t alone, there were many other complaints about the service. I soon realized there were no complaints when dealing with the owner who works there, only his employees, students have problems with. Another popular answer was the long wait for the food and the disorganized line. Although, many people agreed that it is nice to have something close that is healthy. Overall, the halal food is delicious, specifically chicken over rice while the American/ Italian food, specifically the chicken parmigiana is not. But in the end, some say the long wait, the obnoxious service, and the disorganized line is all worth it, while others strongly disagree. What do you think?